After procrastinating and avoiding cupcakes for quite some time, I finally decided that I needed to bake to the occasion ;). 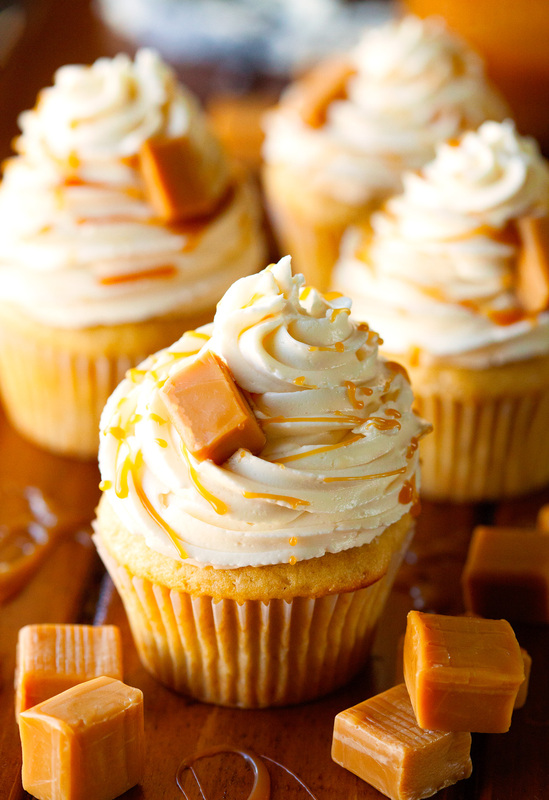 I carefully planned what I was going to make and settled upon Salted Caramel Cupcakes because it just made sense. Caramel and I are inseparable. And I had full confidence that anything involving caramel couldn’t fail. It all started with simple yet amazingly satisfying vanilla cupcakes. That much I could handle. I was also confident that Homemade Salted Caramel Sauce wouldn’t be too difficult to pull off. 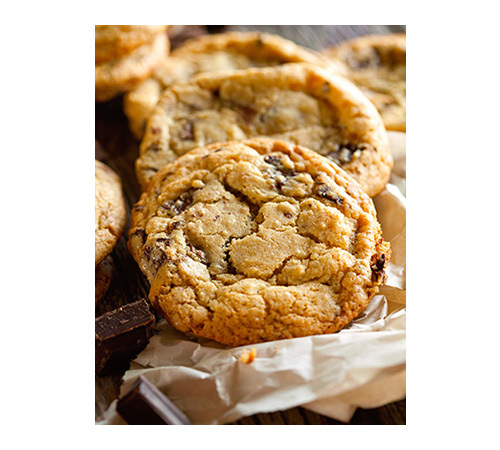 You can find my recipe HERE. It’s a cinch to make and beats anything you can buy at the store. At this point I was feeling good. The cupcakes looked wonderful, were filled with freshly made caramel sauce, and were waiting to be united with their Swiss Meringue Buttercream friend. Which is precisely where I started to get a little nervous. Whipping up buttercream can be somewhat scary. There’s a whole lot of whisking of egg whites involved and hoping that your buttercream doesn’t start to curdle. Turns out whisking of egg whites over simmering water (more details in the recipe below) is just another test of my patience and even if your buttercream does start to curdle, it’s nothing that can’t be fixed. You simply keep beating it, it’ll start to properly come together again, and you’ll be left with a bowl of utmost deliciousness. Who knew? It did take me a few tries to get what I consider the perfect swirl. I may have had one of the best kitchen experiences so far whilst swirling away. I didn’t want it to stop and by the height of some of these buttercream tops, you can definitely tell how much fun I was having. I now totally get why everyone loves to make and eat cupcakes. After a drizzling of salted caramel, I was ecstatic to take a bite and look for the perfect caramel to ooze out. Let’s just say I wasn’t disappointed. Definitely worth every minute spent in the kitchen. And I’d do it again in a heartbeat. This will certainly not be my last post all about cupcakes. Hope you enjoy! These cupcakes really are the best. 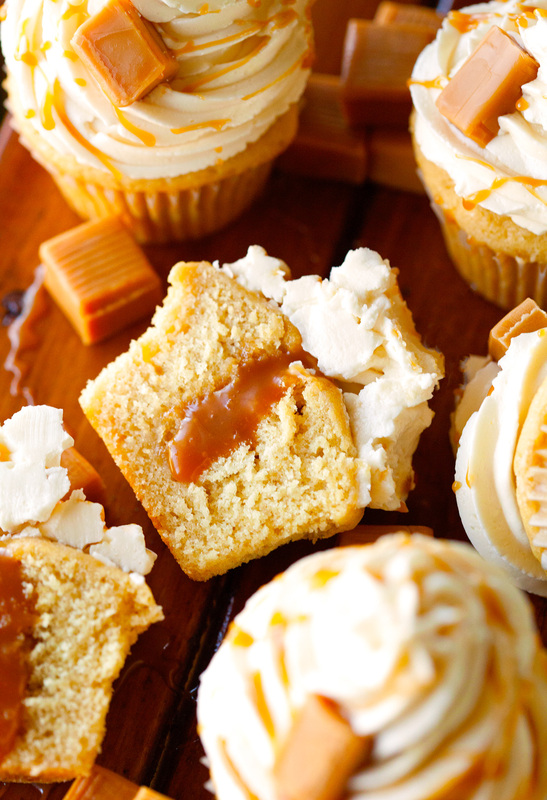 You can never go wrong with Salted Caramel, Cake and Homemade Buttercream. You will make them time and time again! Line a muffin pan with 12 cupcake liners. Preheat oven to 350 degrees F.
1. In a medium bowl, whisk together flour, baking powder, and salt. Set aside. 2. 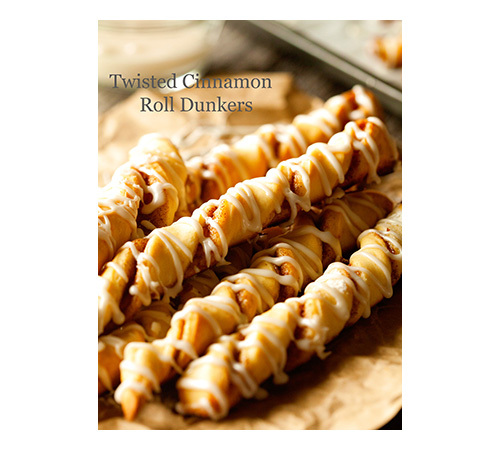 In the bowl of your stand mixer, cream together butter, brown sugar, and granulated sugar. Add eggs, one at a time, beating well after each addition, mix in vanilla. 3. Add flour mixture and milk alternatively. Start and end with the flour. 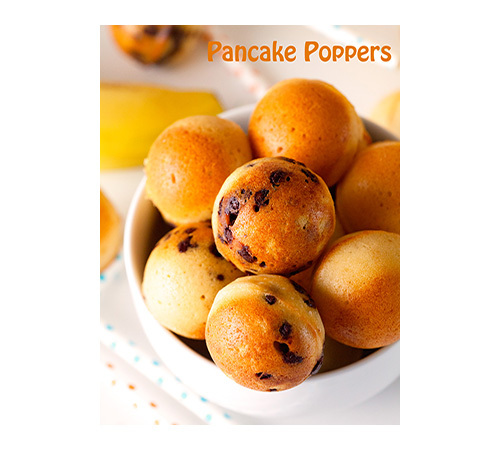 Be careful not to over mix the batter, but make sure no lumps remain. Divide batter evenly between the 12 cupcake cavities. Place in the oven and bake for 20-25 minutes, or until a toothpick inserted in the middle comes out clean. Let stand for 5 minutes, then transfer cupcakes to wire racks to cool completely. 4. 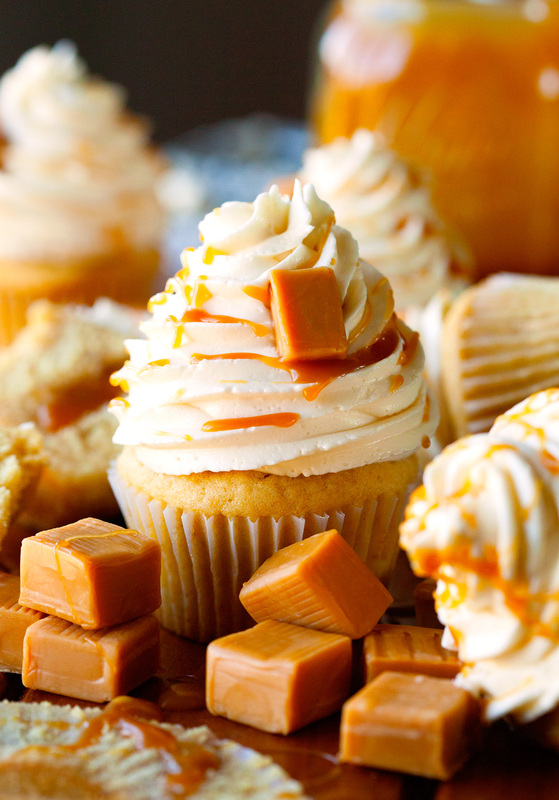 While the cupcakes are cooling, prepare the salted caramel sauce. Add butter to the sugar and place a thermometer into the hot mixture. Butter should be completely melted and mixture should reach 350 degrees F. Immediately remove from the stove and sprinkle in sea salt. Give it a good stir and slowly whisk in heavy cream. Continue stirring until heavy cream is fully incorporated and smooth. Let sauce cool as well before piping into the cooled cupcakes. 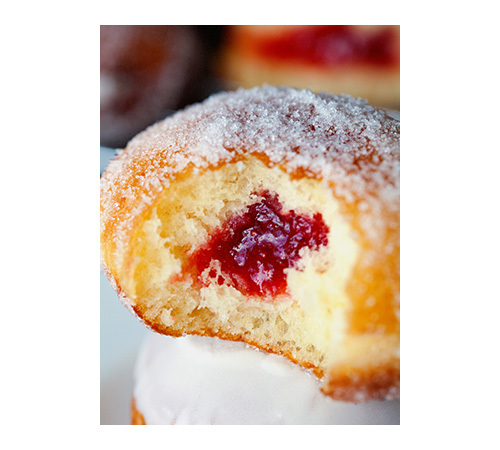 Fill a piping or ziptop bag fitted with a round tip with about half of the salted caramel sauce. 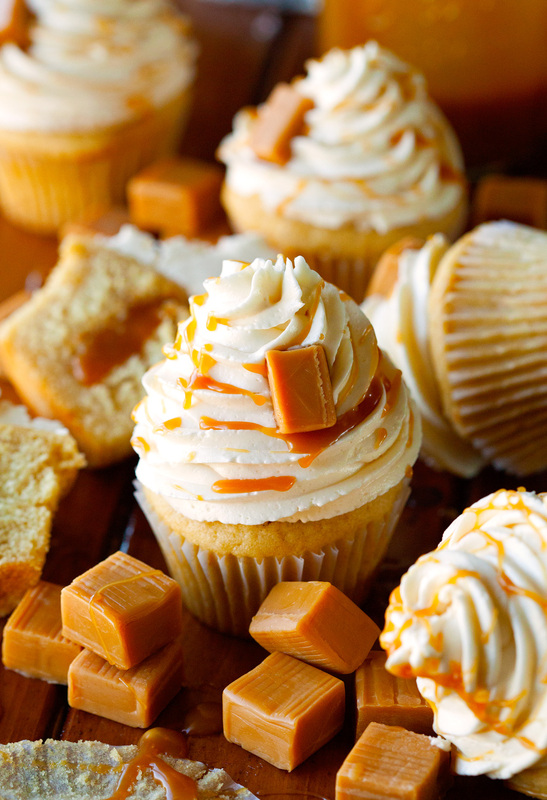 Fill the center of each cupcake with caramel. 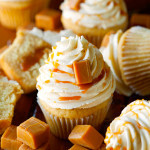 Cupcakes are filled when you feel pressure while piping and once you remove the round tip, a small amount of caramel starts to ooze out. Set cupcakes aside. 5. Next, prepare the buttercream. 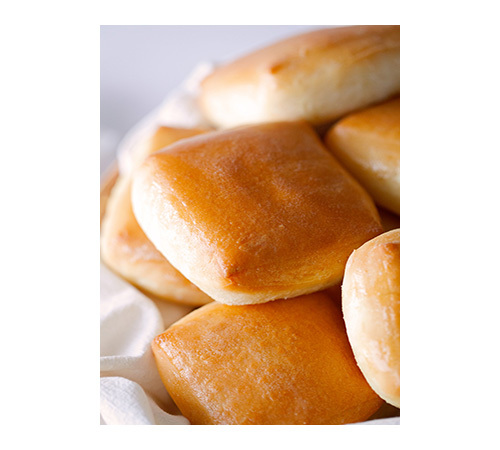 Remove butter from the fridge, cut into cubes and leave on the counter nearby. Add egg whites and granulated sugar to the bowl of your stand mixer, place over a pot of simmering water (not boiling), whisking gently and frequently until the sugar has completely dissolved and the egg whites are hot to the touch. With whisk attachment of your mixer, whip until the egg whites are glossy, and the bottom of the bowl feels neutral when touched (aka no longer warm). This took me about 14 minutes. Don't add butter before bowl has had a chance to cool or butter will melt and you won't have the desired outcome. Switch over to the paddle attachment and, with mixer on low speed, add butter cubes, one at a time, until incorporated, and mix until it has reached a smooth texture (if mixture curdles, keep mixing and it will come back to smooth). If mixture appears to be too runny, refrigerate for about 15 minutes and continue mixing with paddle attachment until it comes together. Add vanilla and salt, continuing to beat on low speed until well combined. 6. Fill a large piping bag fitted with a medium star tip and pipe buttercream onto each cupcake. 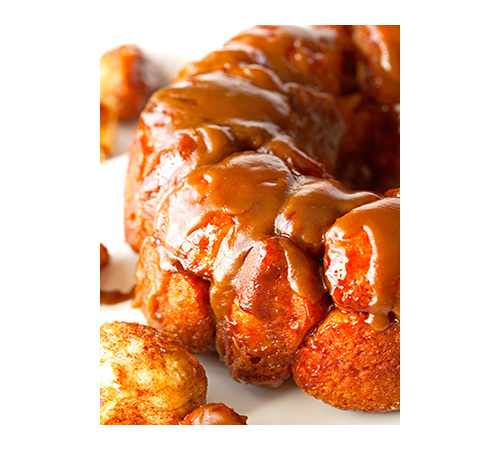 Drizzle with remaining salted caramel sauce and garnish with soft caramels, if desired. 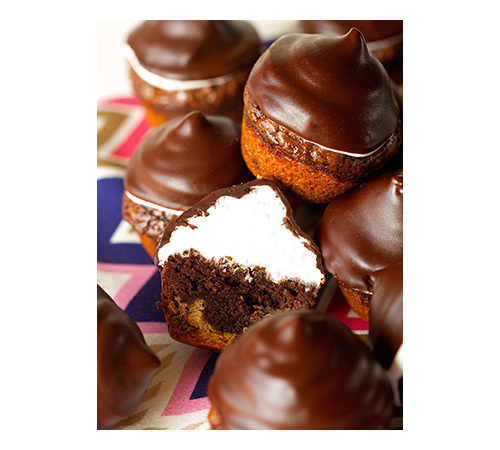 Store cupcakes in the fridge until ready to serve. Cupcake recipe adapted from marthastewart.com. Swiss meringue buttercream recipe adapted from sweetapolita.com. These cupcakes look amazing. Does the caramel sauce stay that deliciously liquid? These cupcakes are absolutely phenomenal! 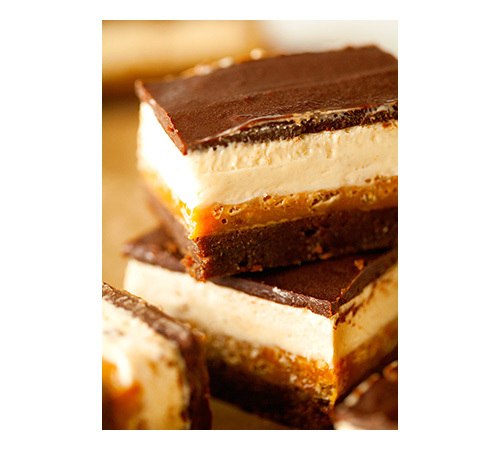 I saw them on Foodgawker and they took my breath away. I’ll have to spend some time looking at your other mouthwatering creations on your site. Gorgeous photos, too! Had a little trouble with the caramel sauce clumping/recrystallizing when I added the cream in after removing from the heat and salting. Took the clumps out and added back some salt, still tastes great. Cupcakes baked perfectly in 22 minutes (non-convection). Waiting for everything to cool so I can assemble and promptly devour. Did it taste good?? Was it dry?? The cupcake was dry!!! The saving grace was the salted caramel inside and drizzled on top of a cream cheese frosting (which I made previously) . I would’ve preferred something a little bit moist? I loved the recipe. I didn’t like the caramel recipe. Next I will use my personal caramel recipe. These cupcakes were delicious, but extremely dry! Thankfully I had a nice cup of coffee close by. These do look delicious but geez, 4 1/2 sticks of butter in 12 cupcakes? That’s a little over-kill. Just made these as a thank you to the neighbors. The icing was time consuming but amazing and I will definitely use it again. The flavor of the cupcakes was good but it was a little dense. 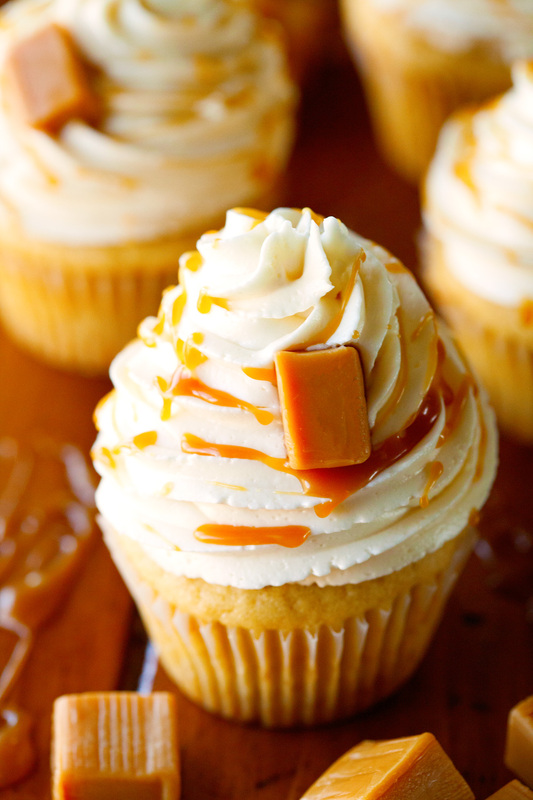 (It could very well have been something I did wrong) I think I would use another vanilla cupcake recipe with this frosting and the salted caramel idea. I did use my own caramel. These were very impressive looking cupcakes. These are delicious. 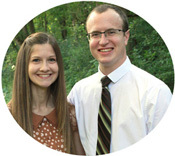 Why not make money doing what you love. Click Here! Cupcakes came out very dry , the buttercream was a pita to make. Overall I don’t see how this recipe is allowed to on the internet. Hi was just wondering if it would be OK with you for me to feature these on my blog? All credit would go to you of course. If you want to die of cardiac arrest as the back of your throat clots off with grease, these are for you! 4 1/2 sticks of butter in 12 cupcakes!!! If you like to spend 2 hours making 12 cupcakes these are for you! 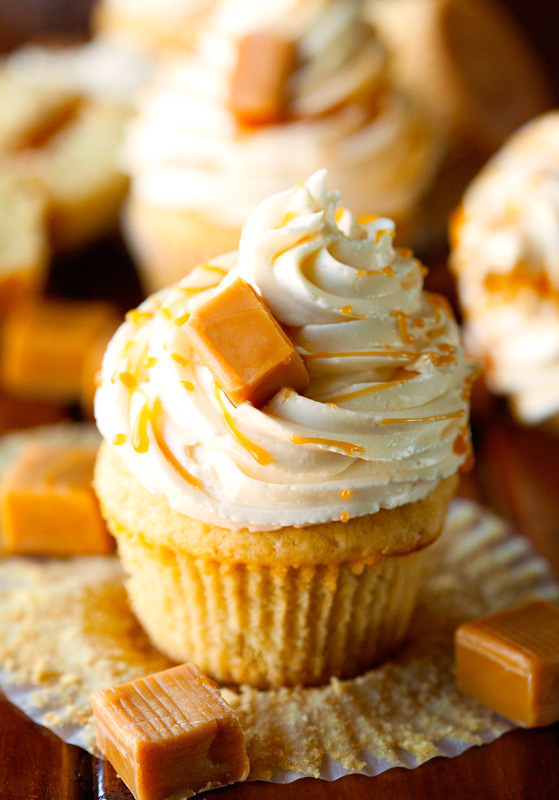 If you want a heavy dense cupcake thats close to cornbread, these are your dream cake…….BUT if you want a moist, fluffy cupcake with a gooey carmel center topped off with a sweet salty whipped butter creme, keep looking for another recipe! Made these for my daughters birthday. She said that they were delicious but I thought that they were way too dense and dry! The caramel sauce and frosting were excellent.